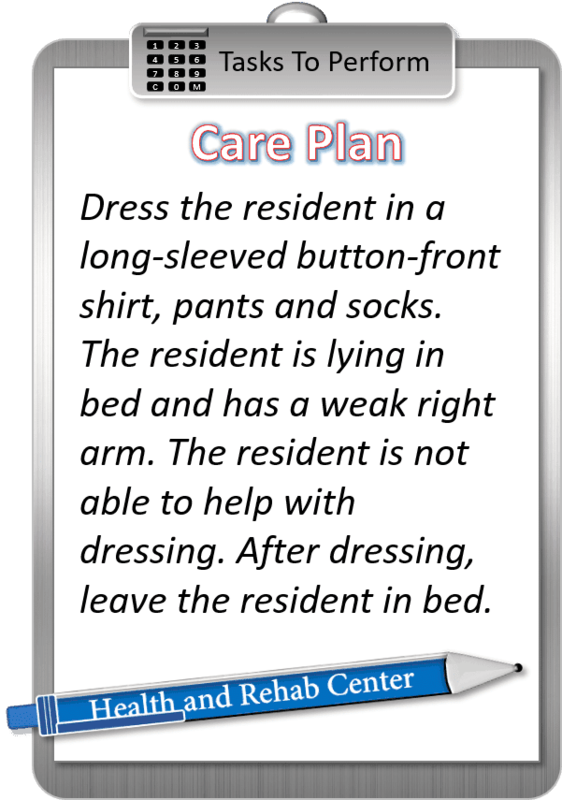 When a patient has a weak arm, or limited mobility in one shoulder, dressing the patient can be a challenge. 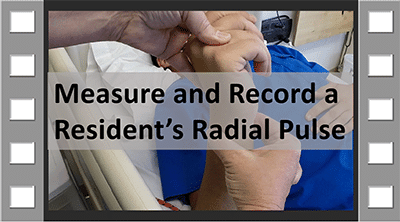 Nurses will explain to the patient that button or snap front shirts will be easier to put on. Pull-over shirts require that you lift both your arms to push them through the armholes, one at a time. But front-closure shirts are easier to put on because they don’t require that BOTH arms extend upwards. Patients will be encouraged to purchase front-closing shirts to make dressing easier and more comfortable. We will use the acronym “U.S.A. 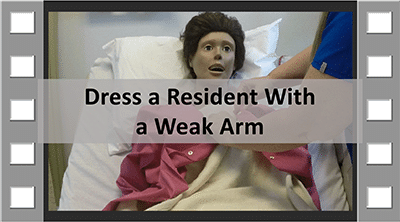 First” to remember how to dress a resident with a weak arm. U = Undress, S = Strong, A = Arm. So Undress Strong Arm First. If you undress the strong arm first, the soiled clothing will slide easily off the weaker arm, without a lot of motion required. Then, you can slide the new garment ONTO the weak arm, without making it move excessively. 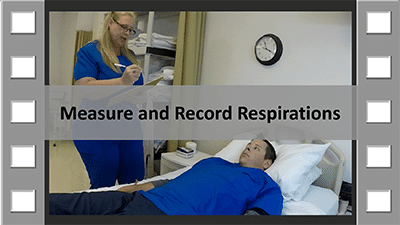 This is a much more comfortable way for patients with limited mobility on one side to get dressed than trying to put on a pull-over shirt. 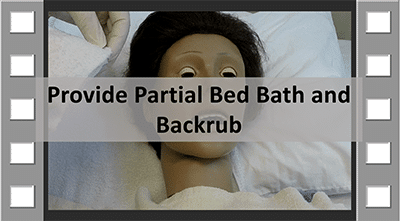 If you don’t undress the strong arm first, the patient will be forced to move their arm in a way that is difficult for them. It is important to understand which arm is weak before you begin the skill and undress the strong arm first, to minimize discomfort. This is a heavily graded checkpoint for the exam! When helping patients with a weak arm, Undress Strong Arm first and Dress Weak Arm first to limit movement on the affected side.